Manoj holds a Master’s Degree in Science at the University of Cincinnati and BA in Engineering at the University of Bombay, India. He oversees acquisition and renovation of residential and commercial assets. Donna started as a General Manager at Quality Inn in Oceanside, CA. Her stellar performance and dedication to her role naturally led to her current position as the Operations Manager for several properties. Hind is a quick learner who is always ready to take on new assignments. Jennifer first began as a front desk agent at Red Roof Inn in Palmdale, CA and quickly became the Assistant Manager at Red Roof. After a short period, she transitioned to Oceanic Corporate as an Accounts Payable and then Purchasing Manager, allowing her to find her niche in Human Resources and Payroll. Kaylee's hard-working efforts are easily shown and appreciated at Oceanic. She exceeds all expectations and continues to keep up the great work. Ludmilla began as a Front Desk agent at La Jolla Inn and was promoted to General Manager. Currently, she manages purchasing for all departments at Oceanic. Min never falls short of her responsibilities and always manages to get the job done. Her diligent work ethics inspires everyone in the office. Rubi initially joined Oceanic as an Administrative Assistant and over the years has went above and beyond in her role. She is currently the Operations Manager for several properties. Swathi's cheerful attitude and unwavering efforts goes without notice at Oceanic. Swathi manages all accounting aspects in her department. 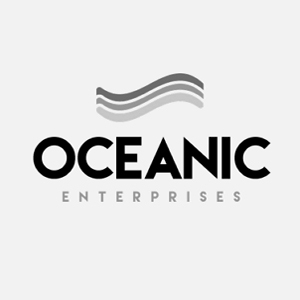 Tracy is always looking for creative opportunities to help Oceanic expand.